The word Burren derives its name from Boireann, which means ‘rocky land’ in Gaelic. This region of naturally interlocking limestone slabs was formed 320 million years ago and it contains a wealth of rare flowers growing in a unique botanical environment in which Mediterranean and alpine plants rare to Ireland growing side by side. 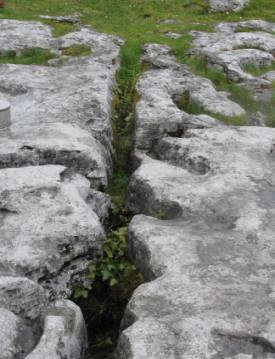 Glaciation and wind and rain erosion have formed limestone pavements with deep crevices known as ‘grykes’. The porous rock is easily penetrated by rainwater, which has gouged out an extensive cave system beneath the rocky plateau. The geology and archaeology of The Burren make it place of great mystery and beauty, its combination of many unusual features, make it unique in Europe. Extending over more than a hundred square miles, the limestone area contains round towers, dolmens, churches and high crosses. The visitor should set aside a few days to explore this area for you’ll want to see the many tombs, monasteries and holy wells that also exist in this region. Considered a Portal Tomb, some sources date the Dolmen from 2500BC to 3800BC. Remains were found in the chamber when it was excavated in 1968 and they are thought to be that of 16 – 22 adults, the majority of them were thought to be in there 30’s with only one over the age of 40, the remains of the rest were 6 young adults and 1 newborn baby. Radiocarbon dating suggests that the burials took place 3800 and 3200 BC. As we understand it, the Neolithic community would have been fairly large and since there were easier ways to deal with the remains of the dead, it is thought that than these remains must have been people of importance within the community and that this must have been a special place of ceremony. It was further proved that the bones were naturally de-fleshed elsewhere (by exposure, burial or picked at by animals, namely crows) and only then moved within the chamber at Poulnabrone. 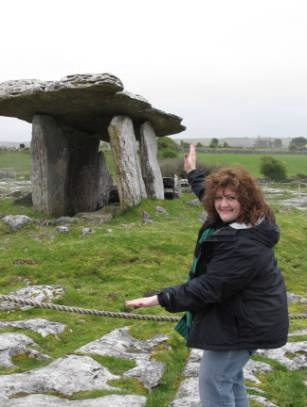 At last, the Poulnabrone Dolmen is found! In the past my attempts to find the Dolmen had been unsuccessful, so I consulted a few Irishmen as to the whereabouts of this Dolmen. Oddly enough, they had never actually seen the Dolmen, but had heard about it. After much discussion and a few Guinness I was able to secure the directions to The Dolmen, (it was written on a coaster from the pub, scrawled in faded blue ink from a worn out pen). As we headed out the next morning to find the Dolmen, my navigator asked me if I remembered to bring the directions, and the dialog went something like this. I withdrew the ratty Guinness stained coaster from my pocket and handed it to her. Her icy stare made me wither in my seat. It was a very quiet ride to the Dolmen. 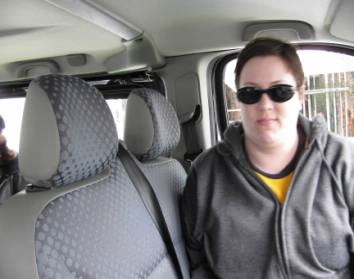 Withering stare from our navigator as she realized the directions to the Dolmen may be a bit sketchy. I’m told that in the past you were able to walk across the limestone surface and walk right up to the Dolmen, Unfortunately, there is a rope fence around it now that prevents anyone from getting too close to it. There is a path that you must follow and there is even a “guardian” on duty for security, a shame, but I’m afraid it’s necessary. Tour buses frequently visit the Dolmen and it is best to wait them out as they have a regular schedule to maintain and the groups don’t linger long. 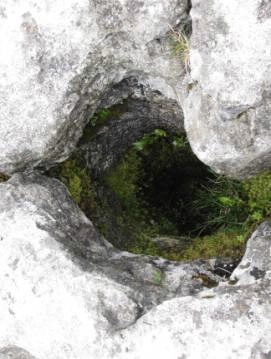 “The Burren has a wild beauty carved by nature that takes your breath away”. It was an amazing experience to be able to see an ancient structure, still standing unscathed after thousands of years. Against the beautiful backdrop of the Burren, it is an absolutely magical spot. The Burren National Park Burren, Co Clare is Located in the Burren Region on the R480 not far from the Cliffs of Moher.